Pentagon said that Northrop Grumman won almost $20 million to carry out engineering and analysis on emerging obsolescence issues with the MQ-4C Triton drone. The Department of Defense said that Northrop Grumman won a contract to supply more Triton maritime surveillance drones. Australia is planning to buy surveillance drones for maritime patrol of its economic exclusion zone that is considered to be the third largest zone of a kind in the world. 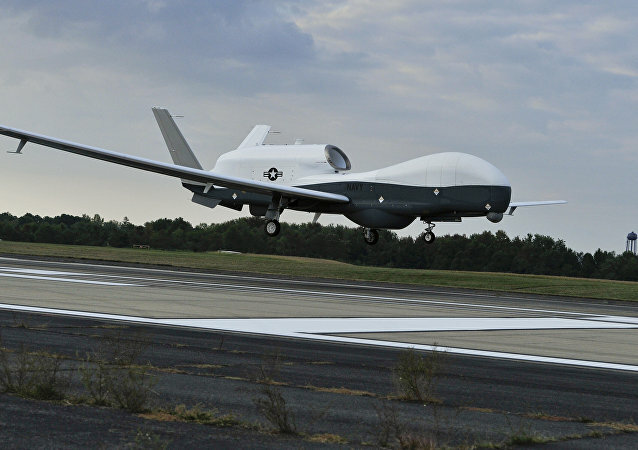 The US Navy’s Triton UAV has completed its first successful test flight with upgraded software. Germany will purchase three MQ-4C Triton aerial surveillance drones manufactured in the United States instead of its initial plans to acquire RQ-4 Global Hawk surveillance aircraft because of their high price, local media reported Tuesday, citing sources from the German Defense Ministry. The US navy is expanding the mission capabilities of its experimental submarine-hunting drone ship so that it can engage in surface warfare missions, fire weapons and launch electronic attacks. US aerospace giant Northrop Grumman received a $9.5 million contract to develop software to address programming deficiencies within the Navy’s Triton surveillance drone, the Department of Defense said in a press release. Defense contractor Northrop Grumman has received a US Navy contract to maintain the company’s MQ-4C Triton drone used in its oceans’ surveillance program, the US Department of Defense announced. Completing the operational assessment clears the way for the Triton to be approved for low rate initial production, Northrop Grumman said.